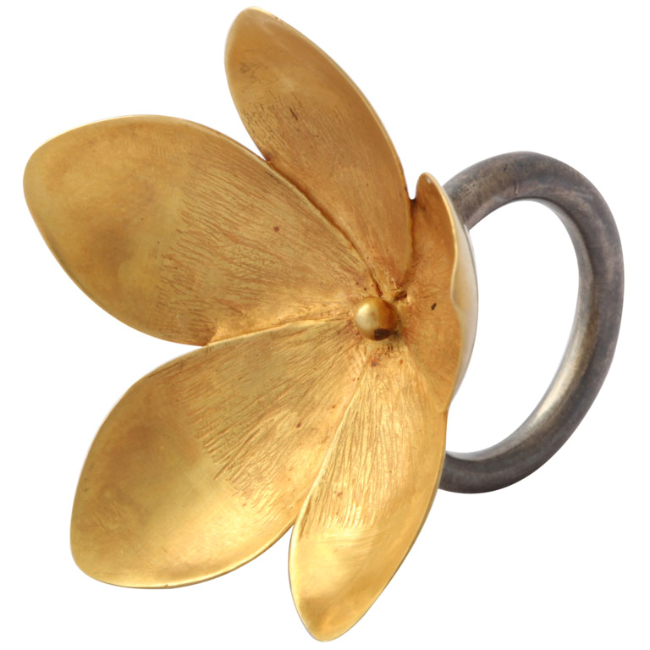 An 18kt yellow gold and sterling silver lotus flower ring. The Lotus flower is attached to a rhodium plated sterling silver adjustable shank/stem. The back of the gold lotus flower is decorated with rhodium plated sterling silver veins.